In a concept note released on June 8, NITI Aayog said that the move is in line with the government plan to achieve the overall goal of affordable healthcare for all by making all critical and lifesaving medical devices available at affordable prices. Government think-tank NITI Aayog has sought stakeholder suggestions for firming up a policy to rationalise the trade margins of all categories of medical devices sold in India. The $10 billion industry, pegged to double its size in a couple of years, is largely unregulated. In a concept note released on June 8, NITI Aayog said that the move is in line with the government plan to achieve the overall goal of affordable healthcare for all by making all critical and lifesaving medical devices available at affordable prices. "The aim is to ensure reasonable prices to consumers and at the same time allow reasonable profits to all stakeholders in the medical device industry, including those involved in the supply - chain by rationalizing trade margins and thereby passing the benefits of the reduced cost to the final consumer", it stated. Association of Indian Medical Device Industry (AiMeD), the lobby group that represents the domestic medical device sector, has welcomed the move. Only 23 medical devices have been notified as drugs and are regulated under Drugs and Cosmetics Act. 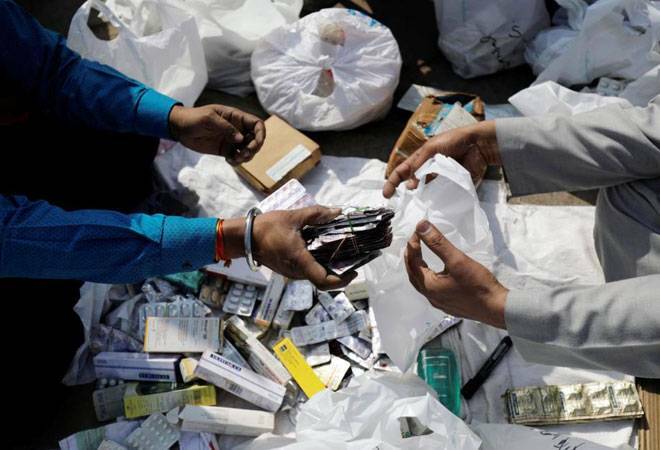 Of these, only four devices - cardiac stents, drug eluting stents, condoms and intra uterine devices - are included in the National List of Essential Medicines and hence subject to notified price ceilings. Knee implants also have price control under another provision of the Drugs (Prices Control) Order 2013. The remaining medical devices are under no price regulation. Since imported medical devices constitute a major chunk of the business, NITI Aayog is proposing three options to calculate the maximum retail price of imported medical devices. In the first case, the maximum retail price (MRP) will be calculated by adding the landed cost of a medical device with the government approved trade margin. In the second case, it will be the stockist price plus trade margin to incorporate some post-import expenses that companies may incur. The third is to add the landed cost, mark up to services rendered and government fixed trade margin. Stakeholder opinion has been sought on the most suitable method. "We welcome the move to rationalise and cap trade margins as has been long suggested by us which will help consumers and manufacturers. But we caution government against giving competitive advantage to importers of medical devices by attempting to equate prices of importers with domestic manufacturers and the MRP as basis of trade margin instead of equating an overseas manufacturers' price at which their goods enter India on CIF (Cost, Insurance &Freight) import price basis with Indian Manufacturers Ex Factory Price," said Rajiv Nath, Forum Coordinator, AiMed. The concept note stated that its approach to trade margin rationalisation on medical devices is aimed at encouraging market development, manufacturing and ease of doing business in India and providing the right environment for ensuring quality and affordable access to medical technologies in the country.